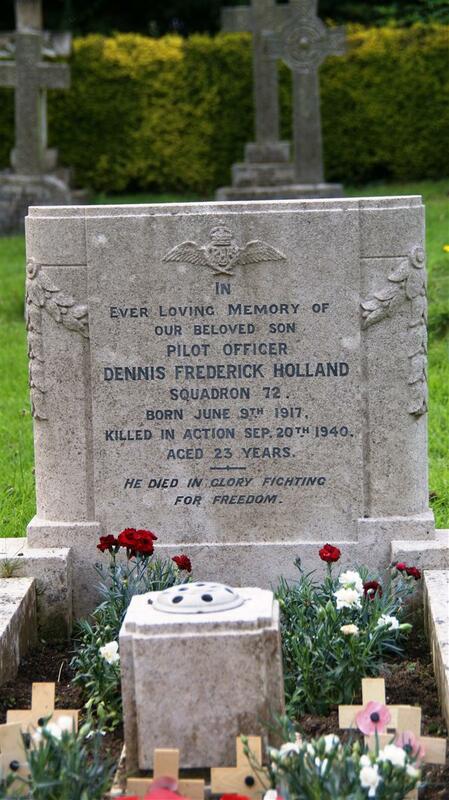 In / ever loving memory of / our beloved son / Pilot Officer / Dennis Frederick Holland / Squadron 72 / Born June 9th 1917. / Killed in action Sep 20th 1940. / Aged 23 years. // He died in glory fighting / for freedom.